The kettle bell or girya (Russian: гиря) is a traditional Russian cast iron weight looking somewhat like a cannonball with a handle. The kettlebell has become a re-popularized exercise tool due largely to the efforts of Eastern European strength and flexibility coaches Pavel Tsatsouline, Valery Fedorenko & Dariusz Garko among them. 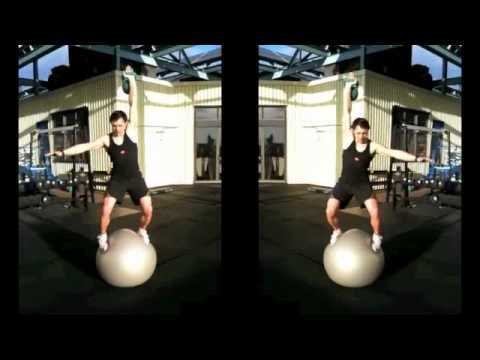 Kettlebell workouts are intended to increase power, strength, endurance, agility and balance, challenging both the muscular and cardiovascular system with dynamic, total-body movements. 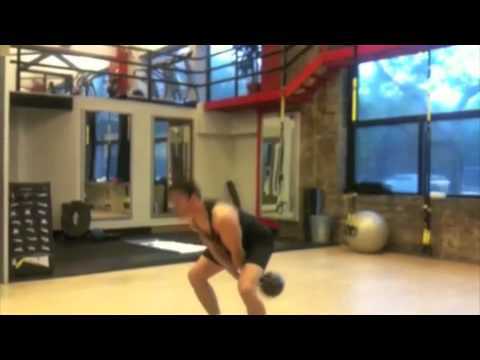 Kettle bell training was originally used for superior conditioning of special forces and professional athletes in Russia and the the United States prior to becoming a trend in the fitness industry. Dariusz Garko explains, “The history of the Kettlebell goes back about 300 years ago to Russia. There are records that Russian farmers used them as counter weight for their wheat, potatoes, etc. As you can imagine each Bell would have to be fairly big 25 kg (55lb) or so. I can just imagine all the farmers hanging out at the market, not too busy trying to kill time, showing off a new trick with a KB trick they developed and their comrades doing the same but better every day fueled by good old testosterone!” Garko laughs. In the mid ’80s KB training was recommended for the masses by the Russian government as a simple and effective way to keep society healthy and out of hospitals. This was an affordable and efficient way for a poor Eastern European population to stay healthy since healthcare is public. I grew up in communistic Poland, where we didn’t have many fancy strength training machines, or even basic treadmills. Simple Barbells, Dumbbells, KB & Pull Up bars got results, dramatic ones. Dariusz Garko has worked with the biggest kettle bell educational company in US in organizing seminars for fitness trainers and revitalizing the education around this legendary method. All GarkoFit trainers are held to superior standards and trained by Dariusz Garko, GarkoFit founder and certified by KBC.